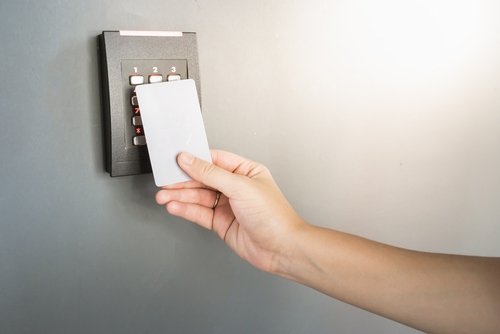 At Expo Link Alarms, we specialise in the supply and installation of access control systems for businesses in Wigan and surrounding areas. We understand how important it is that your property, information and data remain as safe as possible – and access control systems can provide the level of security you’re looking for. 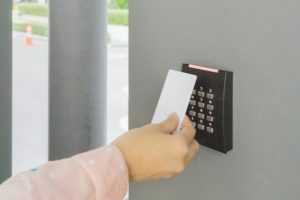 Providing restricted access to an entire building, a specific area or certain resources – our access control systems are the perfect extension to your business. Currently we offer a range of options from leading brands such as Paxton. How many users do you anticipate will be entering and exiting the building daily? How many doors/ entry points need to be incorporated? How many many user groups will be assigned? The above are just some of the first initial questions that we’ll ask, in addition to this we will also visit your site to assess the job ahead. 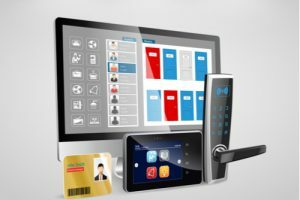 Standalone systems are great for smaller sites with a relatively small number of users, token management is simple, and the system can be extended easily as your requirements change. PC based systems are great for medium to large sites as they make managing large numbers of doors and users easy. The system can be extended very easily, and include advanced features such as event reporting and integration with CCTV and other systems. To request more information about our access control systems and our installation process, please speak to a member of our team today. Need a quotation on one of our services? Copyright © 2019 Expo Link Alarms. All Rights Reserved.